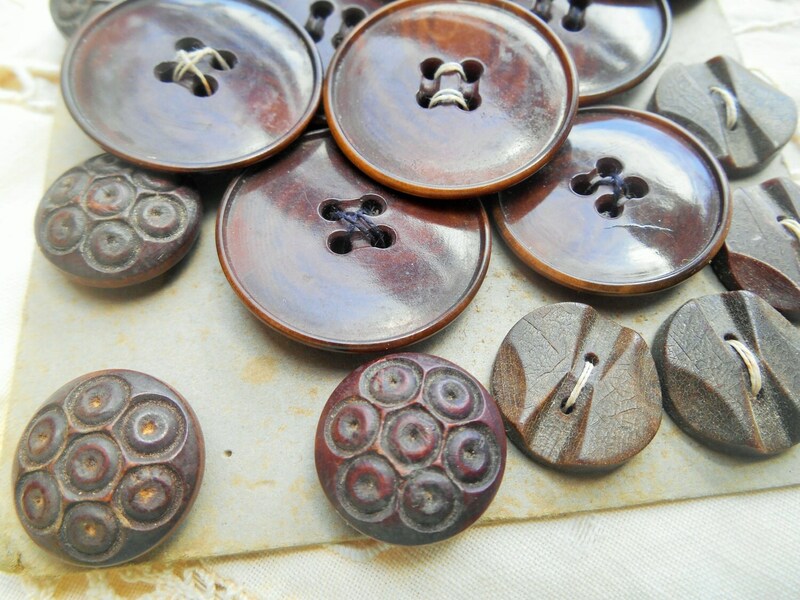 Victorian Brown Buttons. 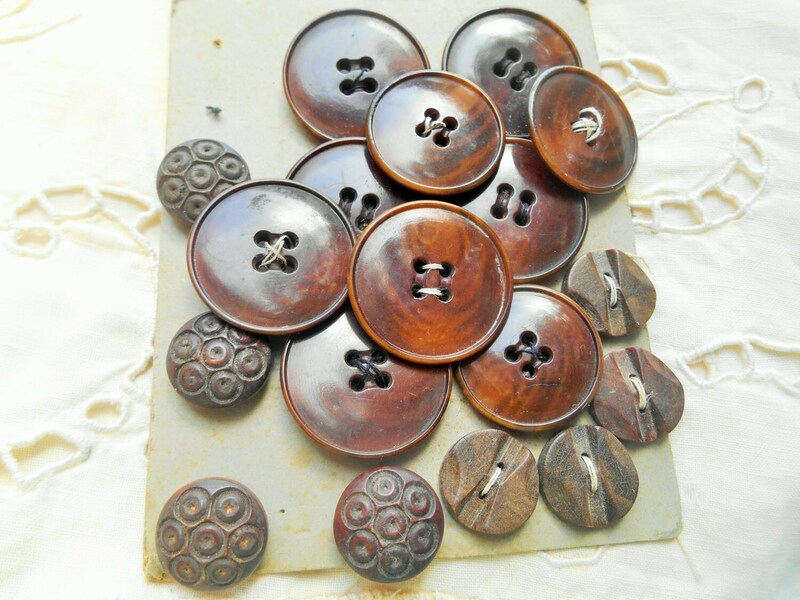 18 French Wood and Bakelite buttons. 7 + 3 Wood Brown Bakelite Diameter : 7 x 1.1 in.+ 3 x 1 in. 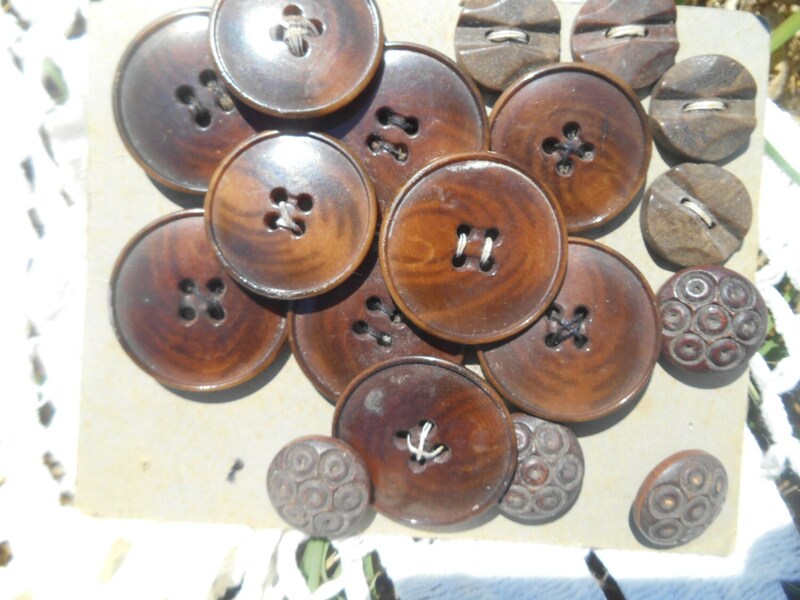 4 Small wood brown bakelite: 4 x 0.6 in. 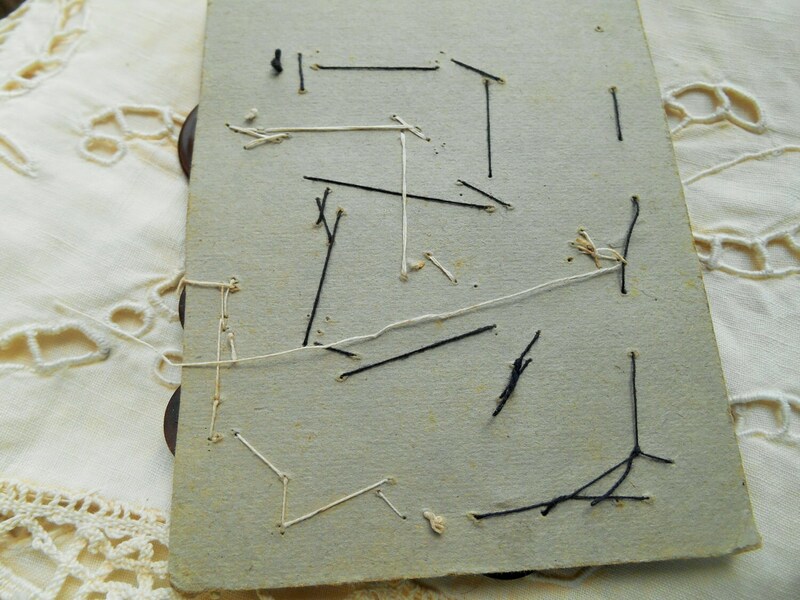 Dust is included and didn' want to undo the card. 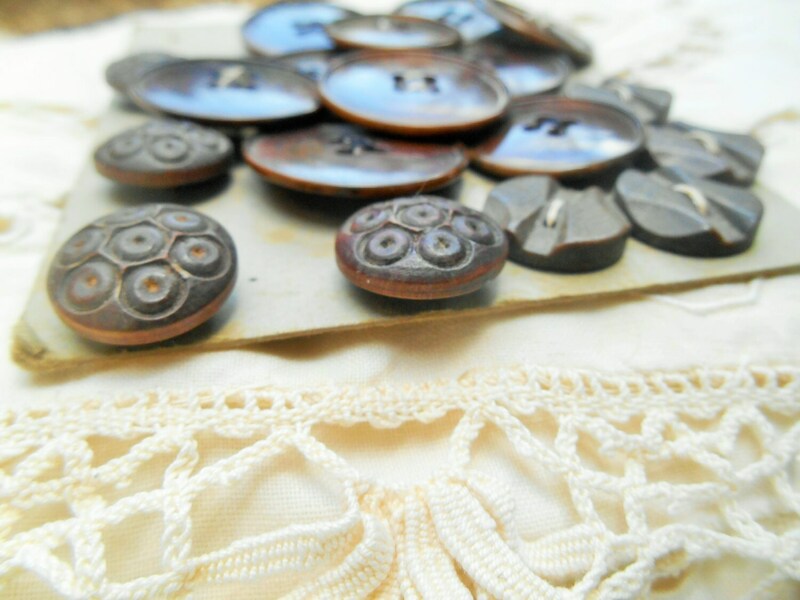 Beautiful set of miscellaneous antique brown buttons!